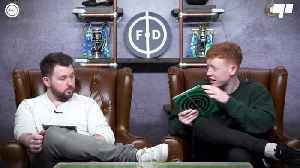 The post Van Dijk: Salah goals will come for Liverpool appeared first on Soccer News. 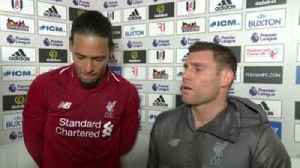 Virgil van Dijk admitted that he could've done better regarding Ryan Babel's equaliser for Fulham, but the defender says he's delighted that Liverpool return to the top of the Premier League. 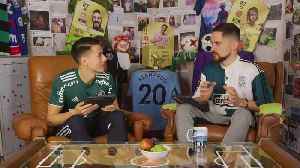 Sterling put 2 past Crystal Palace and Van Dijk shut out Chelsea, but who should win Player Of The Year? 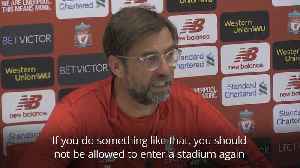 With Man City, Spurs, Liverpool and Man United all in the Champions League quarter-finals, will..
Liverpool manager Jurgen Klopp has called for anyone who is involved in “disgusting” racist abuse to be banned from football for life. 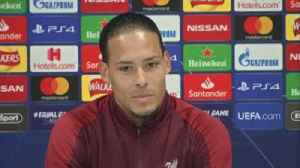 Virgil van Dijk said keeping a clean sheet in the first leg of Liverpool's Champions League quarter-final against Porto was vital. 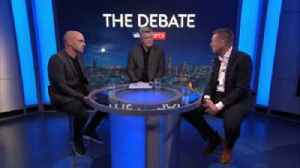 Liverpool's Van Dijk deserves the win as player of the season even if his team do not win the League, according to pundits Danny Murphy and Stuart Pearce. 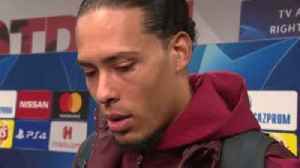 Virgil van Dijk says Liverpool are in the race for the double, but it's "too far to think about", insisting they are taking it game by game. Liverpool manager Jurgen Klopp insists Mohamed Salah’s goalscoring drought does not bother him or the player. The Egypt international, who scored an incredible 42 times in his maiden season at..
Just after Liverpool scored their late winner against Tottenham, Virgil van Dijk launched the ball out of Anfield! Was it a clever way to waste time?